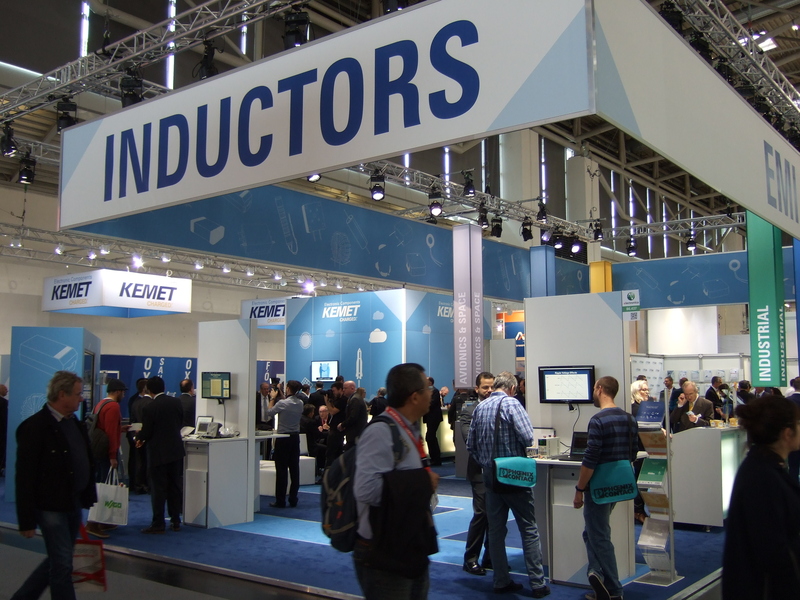 The Electronica trade show in Munich is so big that it only takes place once every two years. Every manufacturer, distributor, and maker of anything electronic is there. To get a feel for the scale of things, Electronica is spread out over twelve large exhibition halls and is served by two separate subway stations, one on either end. You wouldn’t think there would be so many inductor manufacturers in the world, but you’d be wrong. It’s a hardware geek’s paradise, even if it is aimed more at facilitating industry contacts than at serving the humble hacker. But it’s great to see what is out there, quiz reps of all our favorite chip manufacturers about what they’ve got going on, and just generally wander around. You might not get to play with the multi-gigahertz scopes on a day-to-day basis, but you can get hands-on with them at Electronica. And as cool as it is to talk directly to the representatives of our mega-manufacturers, it’s maybe more fun to check up on the creative fringe of companies that you’ve never heard of before, but who nonetheless have great ideas.